We LOVE making edible slime and play dough at our house. We have made quite a few different ones and I have seen some other fabulous recipes around online, so I thought it would be fun to do a great big collection of them in one place! 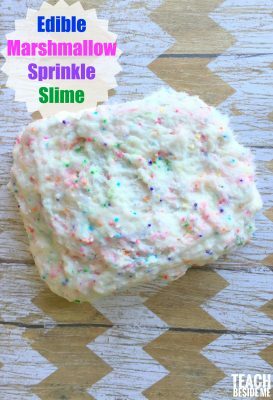 Edible slime and play dough recipes can be such a fun sensory activity for kids! 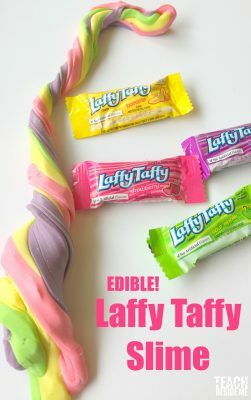 I like the idea of using chemical-free ingredients that kids can safely lick or taste (because that’s what kids do!) 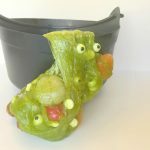 There are so many harmful chemicals in many of the regular slime and play dough recipes, so if you have a concern over those ones, try some of these fun edible recipes! Plus kids LOVE them so much! 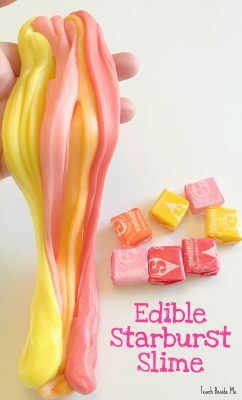 Edible Starburst Slime from Teach Beside Me- This is a favorite in our house! 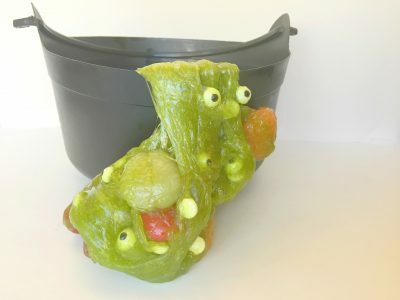 Edible Gummy Bear Floam from Teach Beside Me- This is my personal favorite! Gummy bears are pretty much magic. 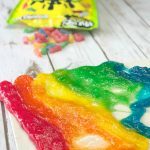 How gorgeous is this Edible Slime made from Sour Patch Kids?! 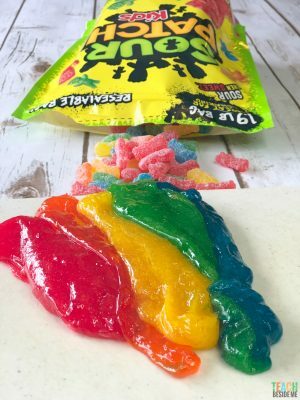 LOVE edible slime like we do? 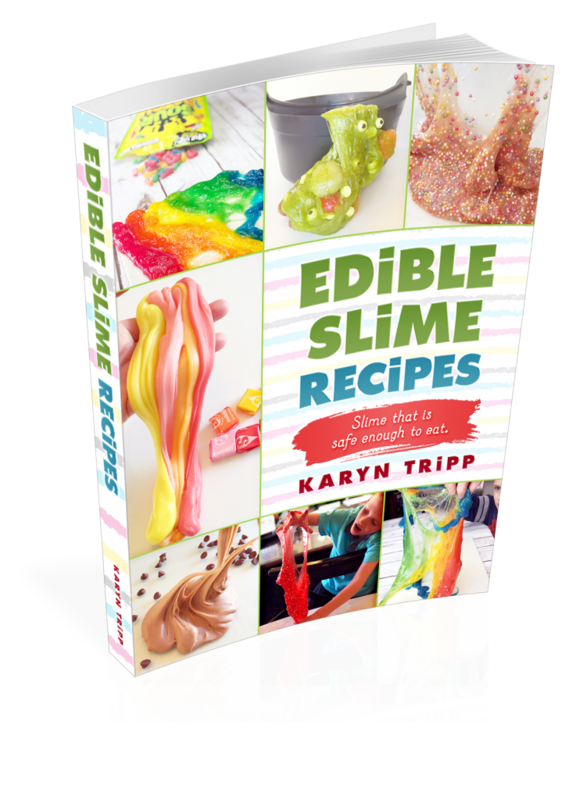 I have an Edible Slime Recipes book! 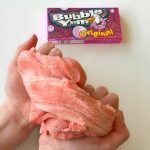 Slime is awesome, but sometimes you want something a little less messy and sticky! Following are some recipes for edible play dough that your kids will love! 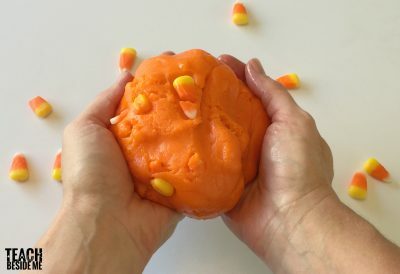 Edible Candy Corn Slime / Dough from Teach Beside Me- This is a crossover slime/play dough recipe. You can decide what to call it. 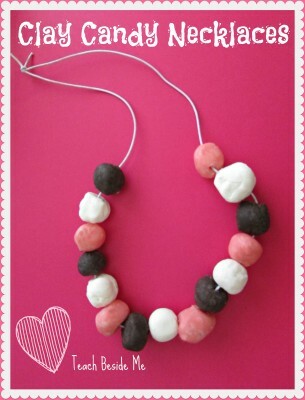 Edible Candy Clay Necklaces from Teach Beside Me- Turn your clay into a candy necklace! Edible Cookie Butter Play Dough from Crystal and Comp. Cookie butter… need I say more?! 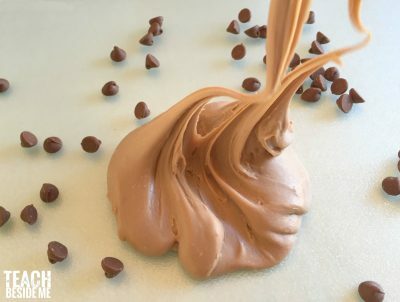 Edible Chocolate Play Dough from Preschool Powol Packets – You can never go wrong with chocolate. Edible Rainbow Play Dough from Preschool Powol Packets I love the colors in this recipe! Peanut Butter Play Dough from Preschool Powol Packets- this one can be turned into cookies, too! Mashed Potato Play Dough from Inspiration Laboratories- edible and safe, and none of the sweeteners like many others have. 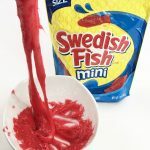 Taste-Safe Marshmallow Play Dough from STEAM Powered Family- Marshmallows are a fun and easy ingredient to work with! Baby Play Dough from Mama.Papa.Bubba – This is a brilliant idea made from baby food! 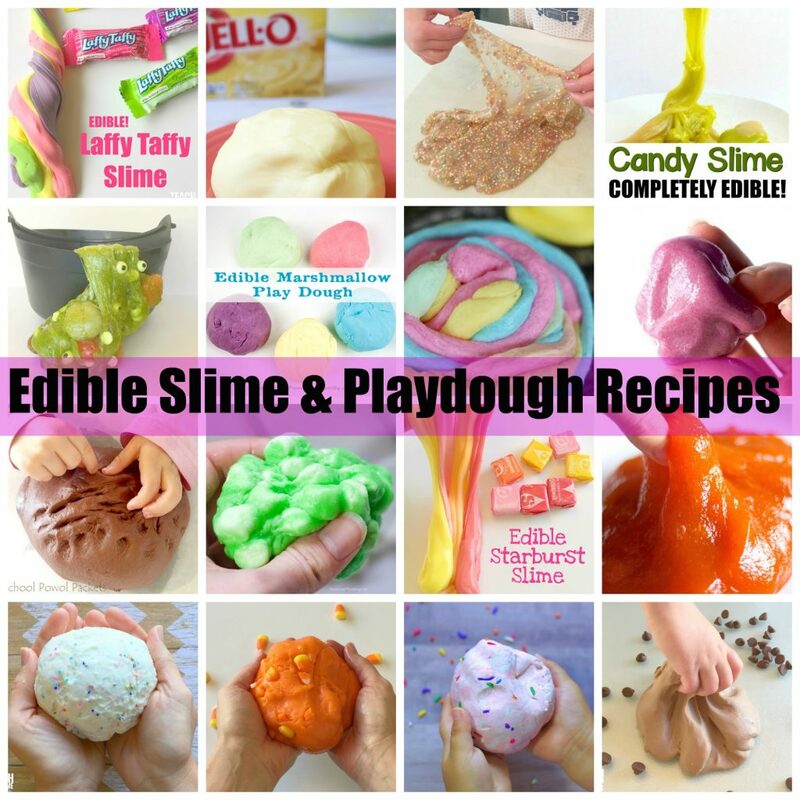 Which edible slime and play dough recipes do you want to make? Your kids will be so excited to try any of them, I am sure!